Mold is in your home in the form of small spores. These thrive in moisture, where they grow, feed and destroy what they grown on. Mold can grow on practically any surface, to include; wood, ceiling tiles, wallpaper, paints, carpet, sheet rock and insulation. 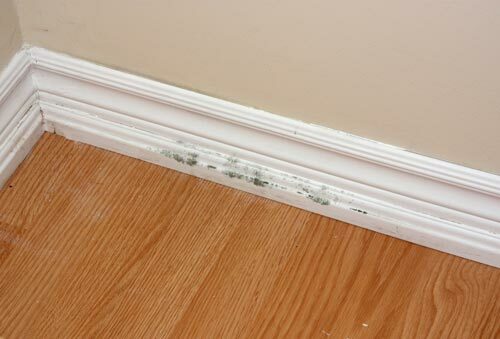 If you have a leak or a lot of humidity in your home, then you most likely have mold. Not all types of mold are hazardous to health, but they can affect people who have allergies or breathing problems. Toxic black mold needs to be removed as quickly as possible by a professional. If you have a leak or see mold growing in the bathroom or anywhere else, don´t paint over it. The leak needs to be fixed and the mold removed, or it will simply keep growing under the paint, which will peel off. If there is a moldy smell or feel in the home, you need to have the mold removed. If the amount of mold is small, then you can try a variety of DIY techniques to remove it, but since you really don´t know how much of it is visible and where else it could be it is a good idea to hire a certified mold remediator or contractor, to remove the mold and repair the areas damaged by it. In the event that mold is a big problem in your home, even the air-conditioning ducts may have to be tested and cleaned.